The Best of the Internet #7: for the win! Goodness, it’s been over a month, the nightmare before Christmas has passed and November is almost gone now too. Now I know many of you are against me being dipping my toes in a sea of Christmas Spirit already, but I can’t help myself. I actually already started my Dickens at Christmas book I bought last year in London. But honestly, I read it now because there’s no way I will read that big of a book during my two-week winter break. Buuuuut that’s not all, a little while ago Sewon at Maps and Fragments did a give-away and somehow I won. It was my first time winning something and I’m really happy. 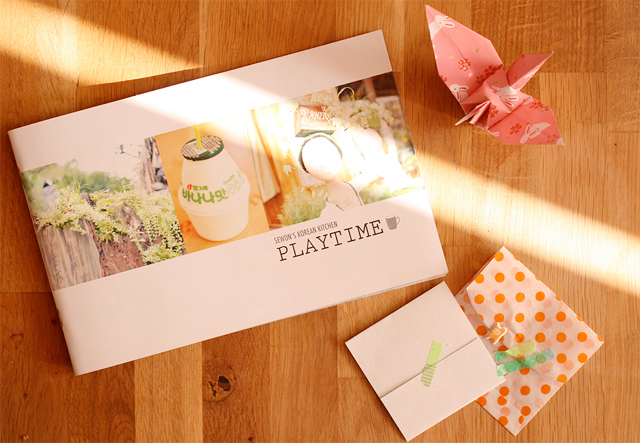 Playtime is Sewon’s Korean recipe zine that has a some really neat recipes in it. I’m definitely trying the kimchi mandoo soon. Hopefully mine will be as photogenic as hers. There’s no ‘Best of the Internet’ without putting out some links I stumbled upon in October and November. There is this interview with Jeremy Paxman and Russell Brand on politics. If you also think that’s an odd combination, please do check it out. I can’t help myself but finding that Russell does have a bit of a point… If you’re not interested in politics, I reckon you should watch it too. It’s cool. By now I hope all of you are familiar with Accidental Comics, a blog by Grant Snider. I shared The Nature of Ambition earlier on my blog (which I still find so good), but just for all of you who take themselves/the world too serious I declare it’s DADA day everyday on this blog as of now. This is Ladurée’s tarte tatin recipe. Definitely on my list of doing, the ingredients are not hard to find at all. I’ve been an avid watcher of Just Kidding (News), and this little video is something I’d like people to know. I’m not Asian of any sorts, but for me it’s more about people being ignorant of other people’s cultures while actually knowing they are being ignorant of them and make fun of them. An all female a capella group in America did Lorde’s Royals splendidly, see it here. A quarterly magazine called ‘Cereal’ caught my eye last week. They have a website, which features some of the features in the magazine. I loved loved loved this article with pictures of winter in Hokkaido. Almost unreal photographs. Wintervacht jas is a Dutch fashion initiative that recycles the woolen blankets that people don’t really use anymore. They’ve got an interesting collection with a few pieces I’d really like. And the thought of walking around in a blanket, who wouldn’t want that! ?